For several decades they produced research showing that asbestos was safe and did not cause cancer. For decades they did not restrict the use of lead in house paint until the 1970s even though it was identified in 1949 to be a risk to children from chipping and peeling in poor maintained homes. During the 1940s and 1950s most Americans (including doctors) smoked but there were rising public concerns about the possible health risks of tobacco. In response, cigarette manufacturers heavily marketed their products stating otherwise. The same goes for Fluoride. This theory of helping with dental hygiene is built off of assumptions and not science. Currently, there is no evidence to suggest water fluoridation helps prevent tooth decay. Why is it illegal to dump fluoride into our lakes and rivers, but somehow it is ok to put in our drinking water and toothpaste? Or why does toothpaste carry a warning, but fluoridated water does not? And why is Sodium Fluoride one of the main ingredients in rat poisoning? Fluoride is still defended today for two reasons: the massive profit produced by selling it to local municipalities, and the massive liability and lawsuits that would follow an admission that it is in fact toxic and harmful. It is really a shame people can’t just trust the “experts” and our government to put human lives above profits. 2. Fluoridated countries do not have less tooth decay than non-fluoridated countries. According to the World Health Organization (WHO), there is no discernible difference in tooth decay between developed countries that fluoridate their water and those that do not. The decline in tooth decay the US has experienced over the last 60 years, which is often attributed to fluoridated water, has likewise occurred in all developed countries—most of which do not fluoridate their water. 3. Fluoride affects many tissues in your body besides your teeth. Many assume that the fluoride in drinking water (or in any other fluoride supplement) will somehow only affect your teeth. 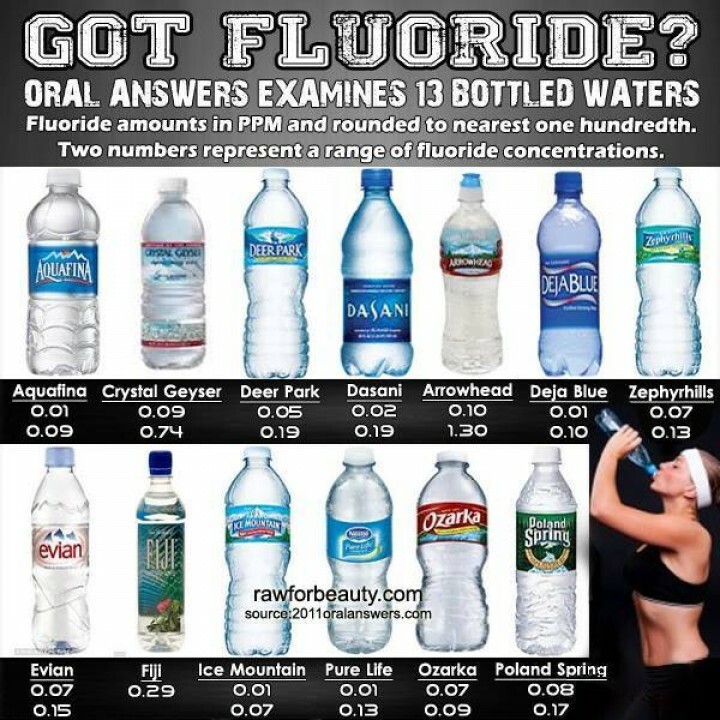 But according to a 500-page scientific review,6 fluoride is an endocrine disruptor that can affect your bones, brain, thyroid gland, pineal gland and even your blood sugar levels. 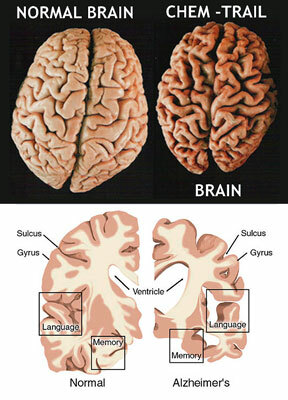 At present, 42 human studies7 have linked moderately high fluoride exposures with reduced intelligence, and over 100 animal studies have shown that fluoride exposure can cause brain damage. Most striking among these are 30 (out of a total of 32 investigations) that have shown that fluoride lowered the ability of animals to learn and remember. Studies have also demonstrated that fluoride toxicity, caused by overexposure, can lead to a wide variety of health problems. 4. Fluoridation is not a "natural" process. While fluoride is naturally occurring in some areas, leading to "naturally" high levels in certain water supplies, this does not make such water safe to drink! In fact, certain communities with naturally high levels of fluoride in their drinking water are known to have higher rates of health problems associated with fluoride overexposure, such as bone deformities. Arsenic and heavy metals also occur naturally in the environment, but are still considered water contaminants that must be filtered out in order to ensure safe drinking water. Fluoridation advocates often use the "naturally-occurring fluoride" argument as support for its safety, but clearly such an argument falls flat if you just stop and think about it for a moment. 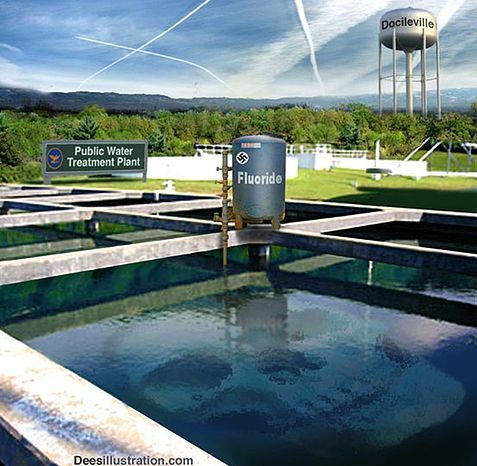 Moreover, the fluoride added to most water supplies is not the naturally occurring variety but rather fluorosilicic acid—a toxic waste chemical captured in air pollution control devices of the phosphate fertilizer industry. This captured fluoride acid is typically highly contaminated, which may impose additional risks to those already presented by natural fluorides. Elevated arsenic levels, for example, present an increased cancer risk. The fluoride acid may also, under some conditions, increase erosion of lead from old pipes, which presents an added neurotoxic hazard. 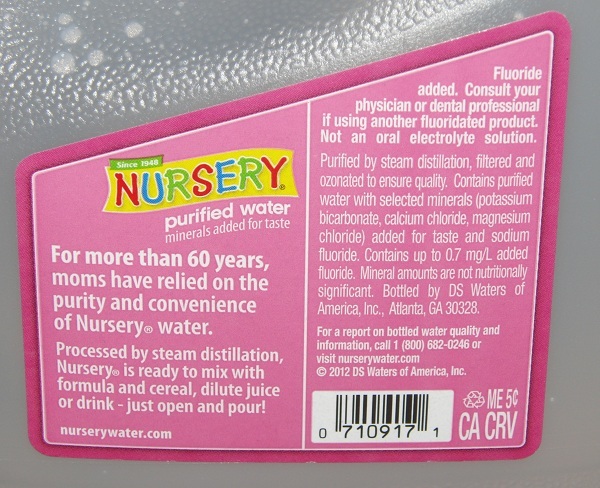 A better view of nature’s take on fluoride is the level of fluoride delivered in mothers’ milk. This is remarkably low (averaging 0.004 ppm, NRC, 200, p.40). There is every reason to believe that nature is protecting the baby from the biologically active fluoride ion. Water fluoridation subverts that protection. A bottle fed baby in a fluoridated community is getting about 200 times more fluoride than nature intended. 5. More than 40 percent of American teens show visible signs of fluoride overexposure. According to the US Centers for Disease Control and Prevention (CDC), 41 percent of American children between the ages of 12 and 14 have dental fluorosis.8 Outwardly visual signs of this condition include pitting and discoloration of your teeth, caused by long-term ingestion of fluoride during early tooth formation. In some areas, fluorosis rates are as high as 70-80 percent, with some children suffering from advanced forms. 6. For infants, fluoridated water provides no benefits, only risks. Infants who consume formula made with fluoridated tap water may consume up to 1,200 micrograms of fluoride, or about 100 times more than the recommended amounts. Such excessive fluoride exposure during infancy provides no known advantage to teeth. On the contrary, evidence suggests it could cause significant harm. Babies given fluoridated water in their formula are not only more likely to develop dental fluorosis, but may also have reduced IQ scores. In fact, a 2012 Harvard University meta-analysis funded by the National Institutes of Health (NIH) concluded that children who live in areas with highly fluoridated water have "significantly lower" IQ scores than those who live in low fluoride areas. A number of prominent dental researchers now advise that parents should avoid using fluoridated water to reconstitute baby formula. 7. Fluoride supplements have never been approved by the FDA. The fluoride supplements sometimes prescribed to those who are not drinking fluoridated water have not been approved by the US Food and Drug Administration (FDA) for the prevention of tooth decay. In fact, the fluoride supplements that the FDA has reviewed have been rejected. So when fluoridating our water for the expressed purpose of benefiting dental health, the water authorities are adding a prescription-strength dose of a drug that has never been approved by the FDA for such a purpose. 8. Fluoride is the only drug added to public water supplies. Fluoride is added to drinking water to prevent a disease (tooth decay), and as such becomes a drug by FDA definition. While proponents claim this is no different than adding vitamin D to milk, fluoride is not an essential nutrient. Water fluoridation is a form of mass medication that denies you the right to informed consent. 9. Swallowing fluoride provides little benefit to teeth. It is now widely recognized that fluoride's only justifiable benefit comes from topical contact with teeth. Even the CDC has acknowledged this fact, and even here scientists have raised questions about its efficacy, as discussed earlier. What is clear though is that ingesting fluoride offers little, if any, benefit to your teeth. About 5% of the worlds population drinks fluoridated water and 50% of them live in the US. 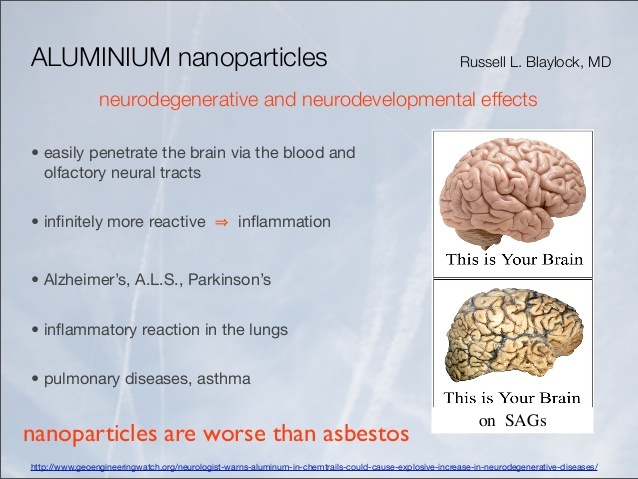 "You breathe in and absorb more sodium fluoride, chlorine etc. through your skin in a 15 minute shower than you do drinking 8 glasses of that same water throughout the day. Which is why the better choice, if you can afford it, is The Polaris IV-F (with Fluoride reduction) whole house filtration system." According to a recent opinion from Israel’s Supreme Court, both laws have been revoked by a new regulation passed by the Ministry of Health. When the new law goes into effect (in the summer of 2014), no community in Israel will be permitted to fluoridate water. On July 29, 2013, the Supreme Court of Israel ruled that new regulations require Israel to stop adding fluoride chemicals into public water supplies in one year, reports the Fluoride Action Network (FAN). Izun Hozer Association for Dissemination of Health Education and Yaacov Gurman petitioned Israel’s highest court, November 12, 2012, demanding that the Ministry of Health order the cessation of fluoridation because it presents health dangers and its benefits are no longer widely accepted. A 1974 regulation provided legal authorization for communities in Israel to fluoridate water. Since few communities elected to do so, another regulation was passed in 1998 that mandated fluoridation for all Israeli communities with more than 5,000 people. In April 2013, however, the Minister of Health, Yael German, revoked both the 1974 and 1998 regulations. “It must be known to you that fluoridation can cause harm to the health of the chronically ill,” including “people who suffer from thyroid problems,” German wrote in a letter addressed to doctors opposed to ending fluoridation. Windsor, Ontario, stopped 51 years of fluoridation. Sixteen regional councils have halted or rejected fluoridation in Queensland since mandatory fluoridation was dropped there in Nov 2012. Meanwhile, New York City Council Member Peter Vallone, Jr continues in his effort to halt fluoridation in NYC. It makes up almost 75% of your body and is absolutely necessary for life. You probably know you should drink 8 to 10 glasses of this life-giving liquid per day, but have you given serious thought to the quality of your water? Our water guide will tell you everything you need to know about water and which kinds are best for optimal health. 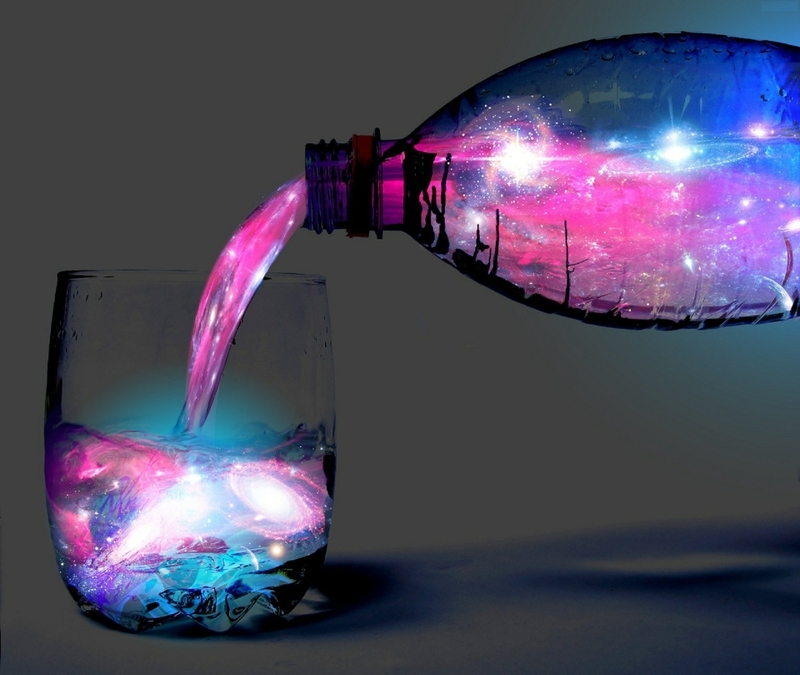 Water is the elixir of life- without it we cannot exist. But the water you drink every day could be harming your health! Water, Water Everywhere and Not a Drop to Drink In the United States, we have many different options for our drinking water, but they are not all healthy! Tap water is municipal water that comes out of the faucets and has been treated, processed and disinfected. 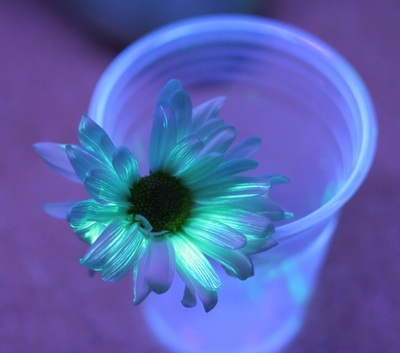 It is purified with chlorine and generally has added flouride. But one of the byproducts from using chlorine in our drinking water is linked to cancer. Distilled water can be any kind of water that has been vaporized and collected, leaving behind any solid residues, including minerals. Distilled water has no minerals in it at all. Reverse osmosis water has been forced through membranes that remove larger particles, pollutants and minerals. Reverse osmosis water is usually acidic. Deionized water has had ionized impurities and minerals removed from it but not bacteria or pathogens. All of the above waters lack essential minerals that are necessary for good health. Mineral deficiency can lead to insulin resistance, migraines, high blood pressure, constipation and even heart beat irregularities! Bottled waters deserve some special attention because they are not always as pure as you might expect them to be. Dangerous toxins from some plastic water bottles can leach into your water. Especially in the distilled water. Purifying, bottling and shipping water requires vast resources and uses more water than when you get your water from a pure source in the first place. If you do you use bottled water, make sure you use reusable glass or plastic containers, and try not to consume ultra purified municipal waters in favor of naturally clean sources. Well water comes from a hole drilled in the ground that taps into a water source. A pump brings it to the surface. If you do not have access to city water, then you would need a well. Natural spring water flows up from a natural spring and is bottled at the source. Artesian or spring waters come from a natural source but are bottled off-site and are processed and purified. Mineral water could be natural spring water or artesian water, comes from an underground source, and contains at least 250 parts per million (ppm) of dissolved solids, including minerals and trace elements. All of the types of water mentioned above have essential minerals and nutrients like magnesium, potassium, and sodium. Minerals are important for nearly every function in your body, especially your adrenals. Learn more about adrenal fatigue and why minerals are so important for hydration in this article: Adrenal Fatigue: Symptoms & Solutions for this Under-Reported Condition Even Your Doctor Doesn't Know. Mineral-rich water can be one source of these nutrients, but if you can't get these waters because of cost or your location, then home filters are an option. Absolute 1 micron filtration removes any particles that are larger than 1 micron in size. This filtration leaves minerals in water. Ozonation is used by bottled water companies instead of chlorine to eliminate baceria. Ozonation does not change the mineral content of your water. Remember that any filter is better than no filter, so even standard "pour through" filters like those from Brita help clean up your water, can remove chlorine and improve the taste, but they also remove minerals. If you are not getting enough minerals from water and your diet, then try a mineral supplement like Body Ecology's Ocean Plant Extract. This amazing formula is a concentrated nutritional supplement that can detox your body from harmful pollutants and give you the minerals you need to thrive. If you're not getting enough minerals from your water and your diet, then you need a mineral supplement. 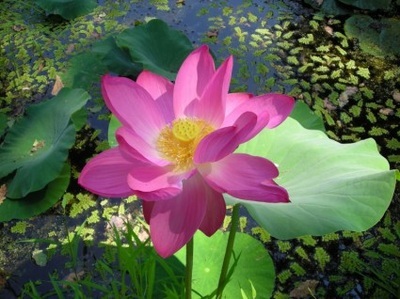 Ocean Plant Extract provides the minerals you need, B vitamins, and more! Water: The Fountain of YouthWater is one of the most important parts of a healthy lifestyle, so make sure that you are choosing the best possible water, avoiding dangerous plastics, and getting enough vital minerals. With 8 to 10 glasses a day of pure water, you'll have energy and vitality like never before. "Fluoride is a toxic substance that is biologically active in the human body where it accumulates in sensitive tissues over time, wreaks havoc with enzymes and produces a number of serious adverse health effects —including neurological and endocrine dysfunction. The Fluoridegate, places particular focus on how fluoridation harms young children, as they tend to suffer the greatest health effects. 25 human studies have linked fluoride with lowered IQ in children, including recent research from Harvard, and 100 animal studies linking it to brain damage. 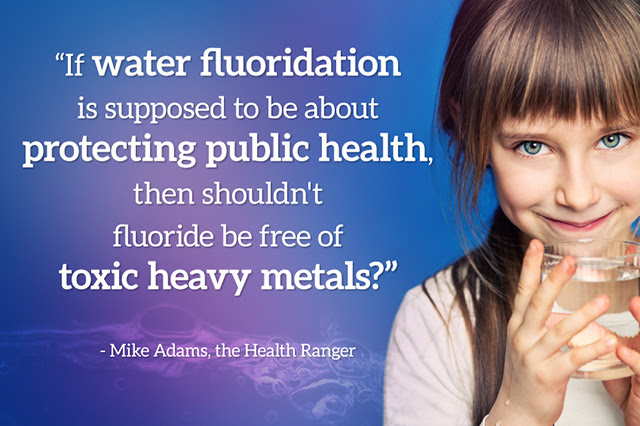 Water fluoridation came about as the result of a massively successful PR campaign, and was reportedly first suggested as a way to protect aluminum and steel producers from lawsuits against the fluorine pollution coming from their plan. The debate over the dangers of fluoride has been ongoing for more than six decades. Study after study confirms that fluoride is a dangerous, toxic poison that bioaccumulates in your body while being ineffective at preventing dental decay." with lead, tungsten, strontium, aluminum and uranium. These ICP-MS results, shown below, were determined with the very same ICP-MS laboratory instrumentation used by the FDA and various universities. Mike Adams, director of the lab and one of the world's leading researchers into heavy metals contamination of foods, conducted the research. Research summary and resultsTo conduct the research, Natural News acquired "pure" sodium fluoride from six chemical manufacturers in China who export fluoride for use in municipal water supplies and other industrial applications (such as pesticides). From those original samples, approximately 0.5 grams of each sample was carefully weighed in laboratory vials, then digested using high purity "trace grade" acids suitable for ICP-MS analysis. Comments from lead researcher Mike AdamsWe now have irrefutable scientific proof that the sodium fluoride used in U.S. Water supplies is contaminated with toxic elements, heavy metals and other elements which have radioactive isotopes (strontium and uranium) that are present in the environment at trace levels. We also know that U.S. Cities which foolishly engage in water fluoridation almost never test their raw materials for heavy metals contamination. After all, there is no law against dumping toxic heavy metals into public water supplies as long as the bags of powder are labeled "sodium fluoride." While the EPA does require municipal water suppliers to test their water for overall heavy metals concentrations, in reality the samples acquired for this testing are often acquiredupstream from the fluoride insertion point, thereby excluding the fluoride contaminants from the tests. Why fluoride advocates are forced to lie about what's really in the fluorideFluoride advocates have always used dishonest language to try to deceive the public about fluoride. I remember seeing an advertisement from a pro-fluoride city which claimed, "Fluoride is a naturally occurring mineral. Water fluoridation simply restores the natural level of that mineral in the water to protect public health." Such a claim, we all know, is blatantly false in both its literal wording and its implied claim. For starters, just because an element is "naturally occurring" does not make it healthy. Arsenic is also a naturally-occurring mineral in many water wells, but arsenic causes cancer and death. If the argument of fluoride proponents is that all "naturally-occurring minerals" should be "restored" to public water supplies, then by their logic we should also be dumping arsenic into the city water. 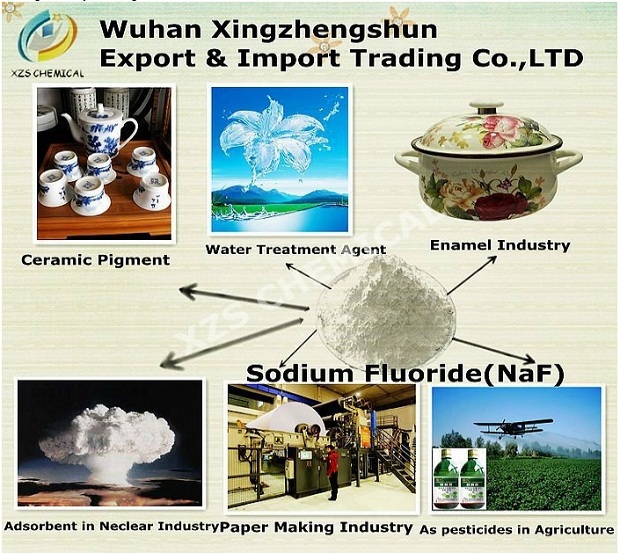 Secondly, sodium fluoride imported from China's industrial chemical factories is not at all the same as a fluoride mineral found in groundwater. There are many different chemical compounds which contain fluorine elements in various configurations. Some are far more toxic than others, and all of them are, by default, labeled "fluoride" for purposes of municipal water fluoridation. This dishonest labeling is of course entirely intentional. Thirdly, fluoride contamination of water wells around the globe is a very large and widespread problem. 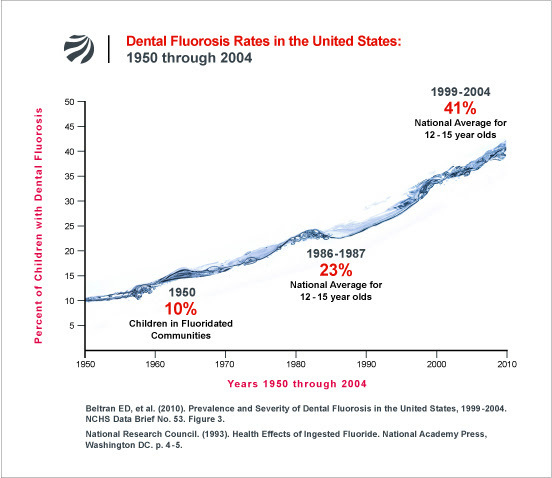 This is what gives rise to the epidemic of dental fluorosis, affecting tens of millions of children across the globe. Just because fluoride is found in some wells doesn't mean it should be added to all other water supplies. The idea is ludicrous, and anyone who argues such an invalid point only admits they are irrational or unintelligent to begin with. When they push "fluoride," they don't tell you about the toxic heavy metals you're also drinkingThe other dirty little secret of the fluoridation industry, we now know for certain, is that when fluoride proponents say children need to drink "fluoride," they never mention the lead, tungsten, uranium, aluminum, strontium and other elements found in common fluoridation chemicals. What is the public health impact of millions of children around the world drinking trace levels of lead with fluoride? It can't be good: lead is well known to damage children's IQs and impair learning. Even though the levels of lead in public water caused by contaminated fluoride are likely to be very small, they still contribute to other sources of lead exposure such as lead alloys in brass pipe fittings -- which are still common in residential plumbing. 1) If water fluoridation is supposed to be about protecting public health, then shouldn't fluoride be free from toxic heavy metals? 2) Why don't cities which are engaged in water fluoridation test their raw materials for heavy metals and publicly share the results with residents? 3) Why isn't there a national law requiring purity minimums for fluoride added to public water supplies? 6) What are the ethical implications of mandating public consumption of a substance known to be contaminated with toxic heavy metals? Doesn't making fluoride mandatory in the water supply also mean heavy metals consumption also becomes mandatory when the fluoride is contaminated? Don't expect anyone from the mainstream media to answer any of these questions, however. They're still pretending fluoride is good for you! Fluoride-free bottled water is harming children, they claim! (NaturalNews) Natural News can now reveal that the Syria chemical weapons narrative being pushed by the White House is an outlandish hoax. To understand why, you have to start with the story published in The Independent entitledRevealed: Government let British company export nerve gas chemicals to Syria. The Government was accused of "breathtaking laxity" in its arms controls last night after it emerged that officials authorised the export to Syria of two chemicals capable of being used to make a nerve agent such as sarin a year ago. You can see this yourself in the screen capture of The Independent breaking news story. Note the headline and the subhead. The headline describes "nerve gas chemicals" and the subhead explains them as "sodium fluoride" and "potassium fluoride." U.S. water fluoridation chemical is Syria's "chemical weapon"If these chemical names sound familiar, that's because sodium fluoride is the same toxic chemical that's routinely dumped into municipal water supplies all across the USA under the guise of "water fluoridation." In fact, the forced feeding of sodium fluoride to the U.S. population is called a "public health" victory by the CDC, FDA and dentists everywhere. Yet this same chemical, when sold to Syria, is openly and repeatedly referred to as a "chemical weapon." This is true across the BBC, the Guardian, Daily Record and Sunday Mail, France24.com and literally thousands of other news websites. According to U.S. Secretary of State John Kerry, any government "regime" that uses chemical weapons against its own people should be bombed / invaded / overthrown by a coalition of other United Nations members. By his own definition, then, the United States of America should now be invaded by the UN because the government uses a deadly chemical weapon -- sodium fluoride -- on its own people. "In the last 24 hours, we have learned through samples that were provided to the United States that have now been tested from first responders in east Damascus and hair samples and blood samples have tested positive for signatures of sarin." Kerry said this on NBC's Meet The Press. But what, exactly, is he saying? That hair samples have tested positive for "signatures" of sarin, not sarin itself. What is a "signature" of sarin? The fluorine element, which is of course the basis for sodium fluoride. In other words, this "evidence" of chemical weapons in Syria may be nothing more than a collection of hair samples taken from people who drank fluoride. As this study shows on SCIENCE.naturalnews.com, hair analysis is a commonly-used practice for assessing exposure to fluoride. It concludes, "hair may be regarded as biomaterial of high informative potential in evaluating prolonged exposure to fluorides..."
Read that again, because it's crucial to understanding the hoax being perpetrated by the White House: Tests on hair or other tissues, if done using ICP-MS (the most common elemental analysis technology used today), would not be able to distinguish between sodium fluoride and sarin. Thus, ICP-MS testing could be used to intentionally "blur" the evidence, making sodium fluoride appear to be "signatures" of sarin, precisely as Kerry is now claiming in the media. As the whole point of all this is to fabricate evidence to justify a political war in the first place, there isn't any real scientific scrutiny being applied to all this. Obama, Kerry and others are spouting whatever they think the people will swallow, and since most of the U.S. public is scientifically illiterate, it turns out they will swallow some real whoppers. 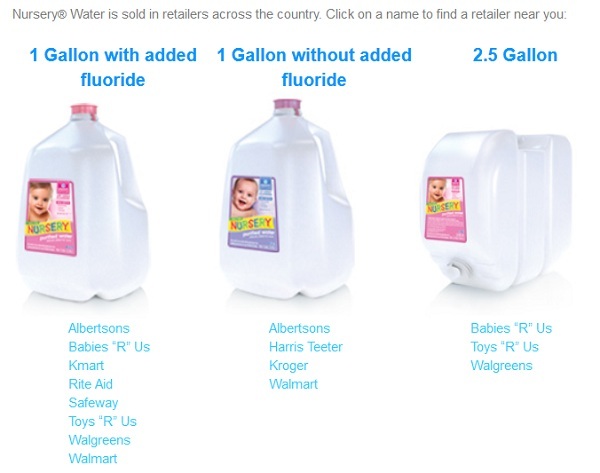 As you can see, this sodium fluoride infant water -- which the White House effectively calls a "chemical weapon" -- is sold at Wal-Mart, Walgreens, Albertson's, Safeway, K-Mart, Rite Aid and even Toys "R" Us. Bet you never knew you could buy chemical weapons at Toys "R" Us, did ya? 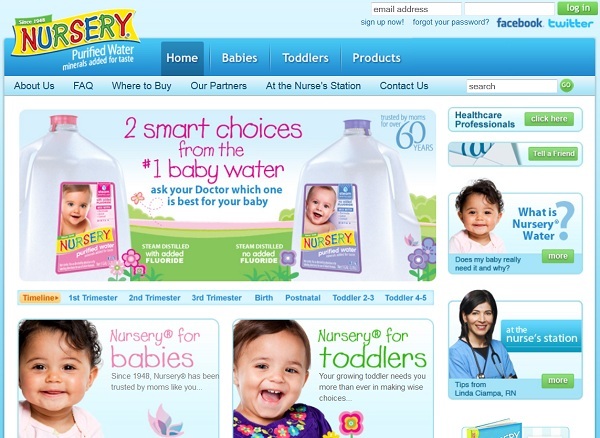 "...ready to mix with formula and cereal, dilute juice or drink - just open and pour!" Yep, you read it: the same "chemical weapon" that's about to start World War III is part of your baby's formula recipe. When sodium fluoride is in the hands of Syria's Assad, it's called a "chemical weapon," but when it's part of your baby's diet, it's called "nutrition." How's that for Orwellian doublespeak? 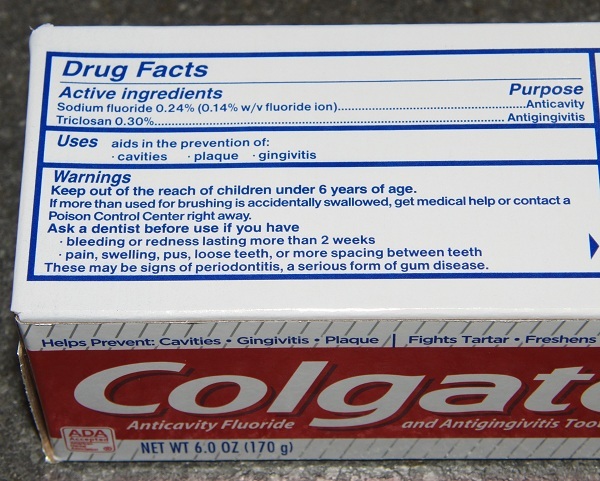 Syria's "chemical weapon" also added to Colgate toothpasteJust in case adding Syria's "chemical weapon" to baby water isn't enough for you, it's also a key ingredient in Colgate toothpaste. Keep this in mind the next time you carry toothpaste with you when you attempt to travel by air. The TSA can pull you aside and legitimately accuse you of working for the Assad regime as a chemical weapons terrorist while charging you with the federal crime of "transporting chemical weapons." Mainstream media admits U.S. food companies use chemical weapons against their own customersUnless the mainstream media retracts all its thousands of stories about sodium fluoride being a "chemical weapon" sold to Syria, it must come to terms with the fact that it is also accusing the U.S. food industry of using chemical weapons on consumers. Sodium fluoride, after all, is added to countless consumer products, from toothpaste and mouthwash to drinking water. Sodium fluoride does not magically change from a "chemical weapon" in Syria to a "nutritive mineral" by crossing the ocean. Sodium fluoride is sodium fluoride, and it's dangerous no matter who consumes it. Keep this in mind the next time you hear a dentist recommending dumping sodium fluoride into the local water supply. You can correctly counter their absurd request by threatening to call Homeland Security to report them as a terrorist for engaging in the indiscriminate deployment of a chemical weapon in the water supply -- a favorite target for terrorists worldwide. By the way, I'm not joking on this: I actually encourage you to call Homeland Security and report your local city council members as terrorists who are mirroring the Assad "regime" in Syria by using sodium fluoride "chemical weapons" on the public. You might even call the United Nations and ask them to intervene in the USA's use of chemical weapons against its own people... right? Isn't that what John Kerry is asking the world to do in the case of Syria? Why does the USA have immunity from using chemical weapons on its own people when Syria is threatened with war for using the exact same chemical weapons on its population? 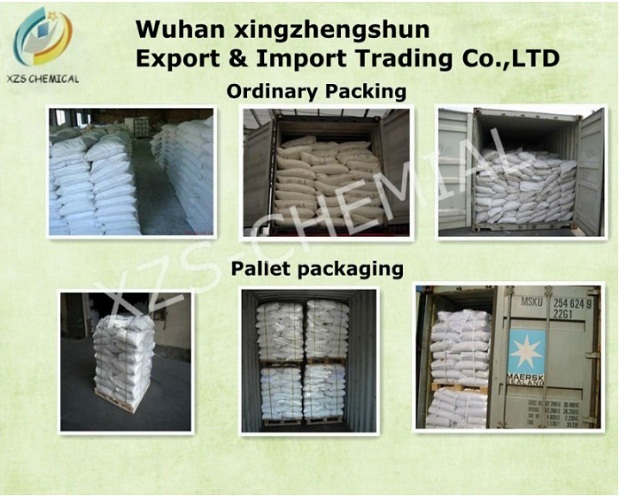 Same "nerve gas chemicals" exported to Syria are imported from China by nearly every U.S. cityBy the way, the same sodium fluoride that was exported to Syria as a "chemical weapon" is routinely imported by U.S. cities to dump into the municipal water supply. They call it "water fluoridation" and dentists push it like candy because it actually causes wildly increased tooth decay, mottling and discoloration (all of which adds up to increased repeat business for dentists). Uses: It's mainly used as a flux in the aluminum smelting by fused-salt electrolysis; also an opalizer in the manufacture of enamel; an opacifier and auxiliary solvent of glass and enamel; an insecticide of crops; a flux in aluminum alloy casting; and in the production of ferrous alloy and effervescing steel; as well as a wear-resistant filler for resin and rubber-boned abrasive wheels. As I first said back in 2012, "Fluoride is a chemical weapon!" Now it turns out John Kerry agrees with me, and he's using fluoride as an excuse to bomb a sovereign nation. Quick question: If Russia begins bombing the USA, can they use the same excuse that Obama and Kerry are using on Syria? "We had to save the American people from the chemical weapons used by the Obama regime!"